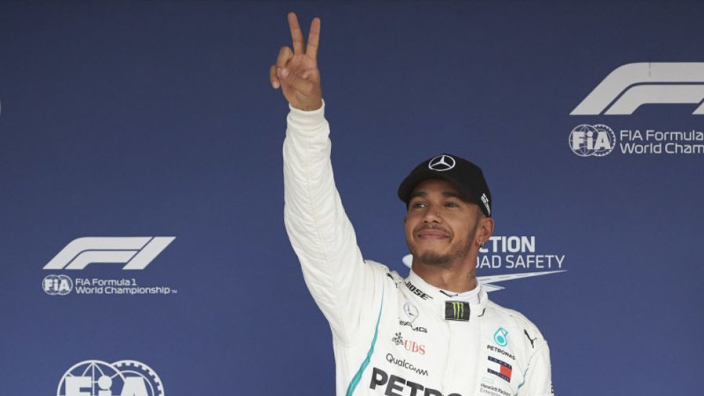 Mercedes managed to put Lewis Hamilton and Valtteri Bottas on the fastest strategy for the Japanese Grand Prix as well as locking out the front row at Suzuka. Pirelli have crunched the numbers after qualifying and say that starting on soft tyres – as Mercedes will – is the best option. 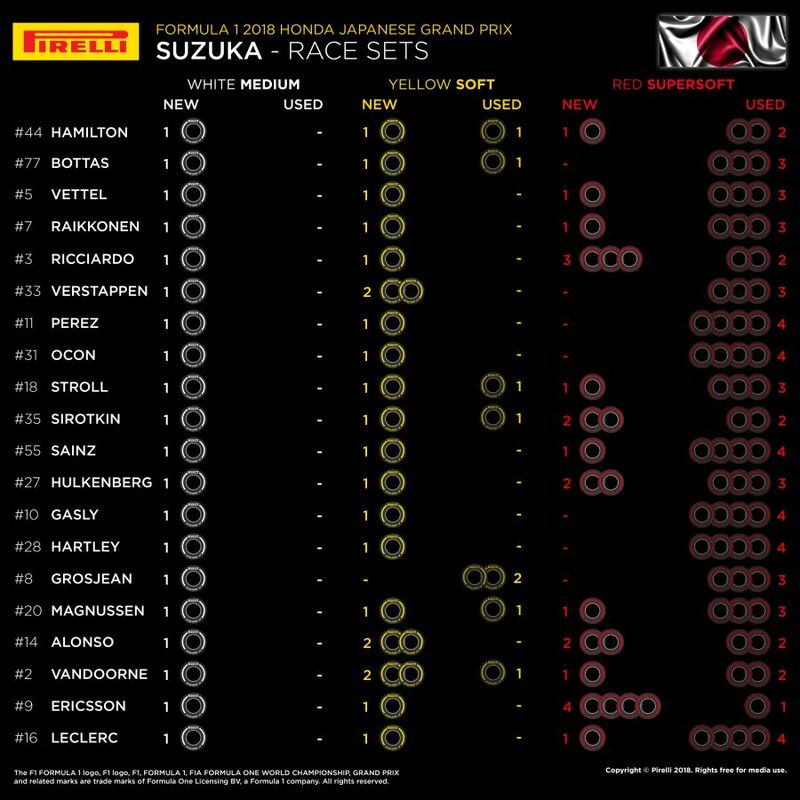 Romain Grosjean will be the only other driver in the top nine on Sunday starting on the optimal tyre, although Max Verstappen and Kimi Raikkonen will hope that softer rubber gives them a speed advantage off the line. Sebastian Vettel will start eighth on supersofts, but it would appear that a battle with Verstappen for the final podium spot might be the limit of his ambitions, provided the Silver Arrows do not suffer a mishap of their own. Tyre choice has been a hot topic in recent weeks, after Renault forwent a spot in Q3 in order to have free tyre choice for the Russian Grand Prix and Suzuka's harsh reputation on tyres could have those in the top 10 sweating – perhaps no team more than Toro Rosso. Brendon Hartley and Pierre Gasly qualified sixth and seventh respectively and will hope for a big haul of points in Honda's home race.